The sharks will be holding First Responder Night at The Shark Tank on Saturday, June 2nd. 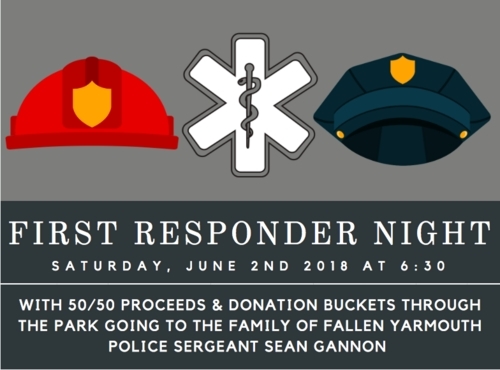 All proceeds from our 50/50 raffle as well as proceeds from donation buckets set up around the ballpark will go to the family of fallen Yarmouth Police Sergeant Sean M. Gannon. © 2019 Martha's Vineyard Sharks Baseball.